I’ve loved the stuff they publish at Hobart for a long time, so I’m super excited to be a part of their work today. You can read my story, “Final Warning,” on their website. …if you don’t value people you don’t wish to communicate with them. And any writing is a form of communication, just as any writing is a form of hope. Because think of what you’re hoping for: you’re hoping, number one, that you’ll finish whatever it is you’re writing; number two, that it will be comprehensible; number three, that your message will somehow reach another human being; number four, that they will open that bottle that’s washed up on the shore, and they will take out the message, and they will be able to read it; and number five, that they will be able to comprehend it and derive meaning from it. And that’s a pretty long list of hopes. 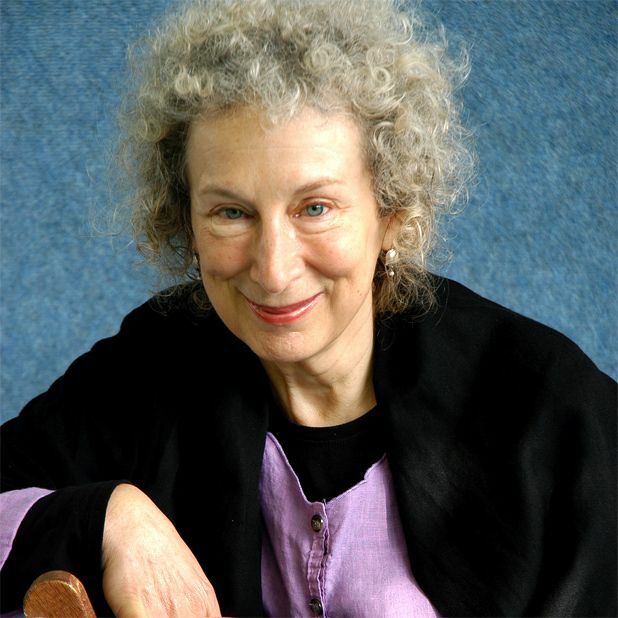 This quote comes from the end of an interview Margaret Atwood gave with Michael Silverblatt on KCRW’s show, BOOKWORM. For most of the interview, they talked about her latest book, Maddaddam, the third of a trilogy. If you are a writer and unfamiliar with this show, I highly recommend you start downloading the podcasts. You can listen to the whole interview here. Atwood’s words remind me of what I’ve started to call the “Stevie Wonder Principle:” It’s not a religion, people. It’s a relationship. Writing can become, quite fast, a religion. We have our ceremonies (prizes, readings, book signings), and rituals (turning off the internet, staring at a blank page and staying put until something comes, listening to podcasts of author interviews), and there are several denominations (or genres and poetry schools). We have our leaders whose approval we might, if we’re not careful, depend on too much. Nonetheless, like what Atwood says here, it’s important to go back to the very core of why we do what we do: to communicate with people. Once we start to sacrifice the “relationship” for “religion,” our writing becomes self-indulgent, mean, without any sort of redemption, hard to stomach, and, you know, corrupted by the same thing that corrupts all religions: greed. All of that aside, it was nice to hear that Margaret Atwood express a need for hope in order to write what she writes, despite the fact that in the hierarchy of writers, she’s probably pretty close to the Vatican. Writing is always a process, no matter who we are or what we’ve written.